Type 1 diabetes is the most common form of diabetes in children: 90 to 95 per cent of under 16s with diabetes have this type. It is caused by the inability of the pancreas to produce the hormone insulin. Type 1 diabetes is classified as an autoimmune disease, meaning a condition in which the body's immune system 'attacks' one of the body's own tissues or organs. In Type 1 diabetes it's the insulin-producing cells in the pancreas that are destroyed. in Japan it's 3 per 100,000. Sometimes diabetic ketoacidosis occurs before diabetes is diagnosed, although this happens less often in the UK due to better awareness of the symptoms to look out for. The specialised nature of managing childhood diabetes means that most children are cared for by the hospital rather than by their GP. 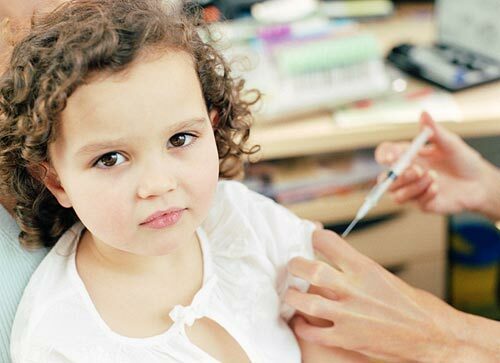 Most children with diabetes need insulin treatment. If this is the case, your child will need an individual insulin routine, which will be planned with the diabetes team. Most now use frequent daily dosage regimes of fast-acting insulin during the day and slow-acting insulin at night. Very small children normally don't need an injection at night, but will need one as they grow older. Increasing numbers of children use continuous insulin pumps. Often in the first year after diagnosis, your child may need only a small dose of insulin. This is referred to as 'the honeymoon period'. As well as insulin treatment, good glucose control and avoidance of ‘hypos’ (low blood glucose attacks) is important. This is because many of the complications of diabetes increase with the length of time diabetes has been present. This may be from your GP, the hospital team or social services. Understanding all the different aspects of diabetes and its treatment requires patience, but will benefit your child and family life. Poor glucose control will cause very serious long term damage, so life-long, careful monitoring and treatment of Type 1 diabetes is crucial. The diabetes team at the hospital can help you with the list below. Measure blood glucose levels frequently and teach your child how to do this as soon as they are old enough. Learn how to administer insulin injections. Insulin is usually injected into the skin over the abdomen or the thighs. Know the symptoms of low blood glucose and diabetic ketoacidosis and what to do about them. Make sure glucose is always available. Teach your child how to self-administer insulin injections as soon as they are old enough – around the age of nine is typical. See the doctor on a regular basis, and particularly if your child becomes ill for any reason – treatment is likely to need adjusting. If a child with diabetes is vomiting, check their blood glucose and contact your doctor. Inform the school and friends about the symptoms of low blood glucose and what to do about them. Contact your local diabetes association for help and support. A trained dietician is usually one of the members of the hospital diabetes team. It's important to give your child a healthy balanced diet that is high in fibre and carbohydrates. A healthy diet is the same for everyone, whether or not they have diabetes. How much your child should eat depends on age and weight. The dietician and parents should determine this together. Sweets are no longer off limits because the 'diabetic diet' is now a relic of the past (but should be an infrequent treat). Once your child gets to know how her body responds to eating and taking insulin, sweets in moderation are possible – accompanied by the appropriate dose of insulin. Physical activity is important for children with diabetes, who should try to exercise every day. Physical activity lowers the blood sugar level, so if your child takes insulin, she may need to reduce the dose. This is because a combination of too much insulin and exercise can lower the blood sugar level and lead to hypos. To counter this, your child should always carry glucose. Physical activity also affects how much your child can eat. Before your child exercises or plays sport, give extra bread, juice or other carbohydrates. A child who develops diabetes will live with the condition longer than someone who develops diabetes in adulthood. The longer diabetes is present, the higher the risk of long-term complications such as those affecting the eyes and kidneys. These can start after you have had diabetes for 5 years, but are usually a concern only in later life. Regular check-ups for complications begin around the age of nine. From then on, this check-up is done every year.